Take your closet from unruly to unbelievable by outfitting it with closet organizers, storage systems and accessories from Ace Hardware. Whether you are interested in changing out the hangers or installing a complete closet storage system, you'll find the items you need at a price that fits within your project budget. Use the handy tool on the left side to organize your search by need, sales, or price range. Do you need a little inspiration to truly transform your closet? Take your cue from some of our favorite closet organization ideas below. Huge master closets and small guest closets all rely on closet storage systems to have them performing at their best. 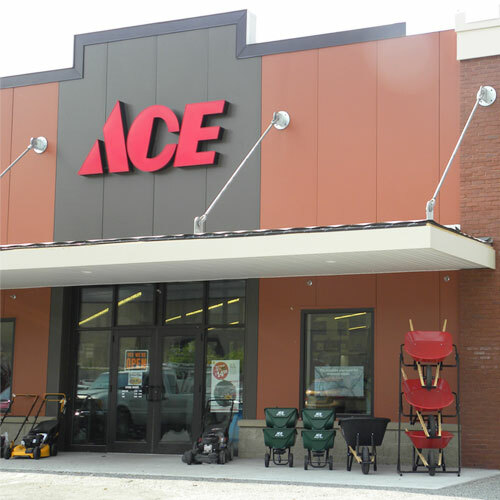 With so many different styles and configurations available at Ace, it's easy to discover the ideal one to finally organize your clothes, shoes, purses, and hats exactly as they should be. These closet organization systems are easy to install and offer companion pieces to help customize the way they work for you. Proper storage of your winter clothing, bedding, and delicate items will help extend their life. Add proper storage to your closet in minutes adding storage bags and carts to your closet. Small but functional, these items overhaul the function of your closet without installing a whole new system. Add a shoe rack over the door to keep all your favorites within easy reach, add air-tight storage bags to protect sweaters and jackets from moths, and discover durable mattress covers that help control allergies. Add extra clothes storage anywhere in your home by installing a new closet rod. Hang one in a laundry room to hang items as they come out of the dryer, add a low one in a children's closet to keep clothes within their reach, or add a second row of storage to a master closet to double storage space. Every article of clothing should be hung in a specific way. Make sure you are storing your sweaters, pants, belts, ties, tee-shirts, and dress-shirts properly by placing them on the right hanger. There are many different options from which to choose. Wood hangers are great for heavy items such as suits and jackets. Velvet lined hangers keep delicate items from slipping off while skirt hangers keep your garments from wrinkling. With so many available, you'll find the right one for everything in your closet. Rely on the helpful folks at Ace for information on the best closet organizers for maximizing storage and keeping your clothes clean and protected for years to come. With a range of affordable closet organization ideas to choose from, this weekend warrior project is sure to fit within your budget.